Upscale dining and event catering. 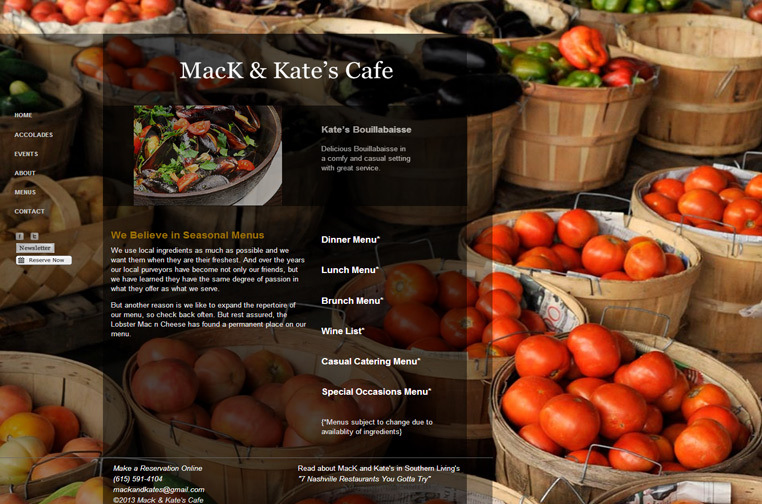 Establish MacK & Kate’s as a sought out upscale cafe. 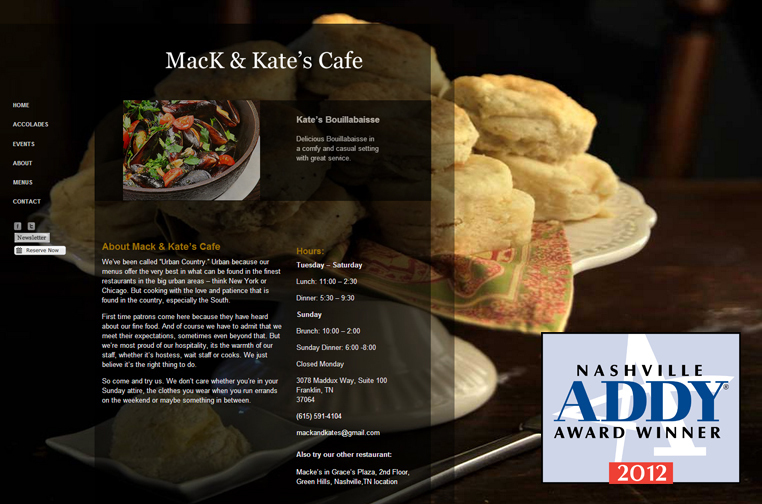 Distinquish MacK & Kate’s as a restaurant that has dedicated itself to an exceptional dining experience. The menu, food presentation, personalized service and decor needed to be emphasized. Emphasis of the food and it’s presentation was made by coding large images by photographer Ron Manville as background.